Award-winning* Argentine tango singer, Martin Alvarado, will be starting his UK tour on Sat March 16th in Southwell (Notts) encompassing 12 dates in England and Wales. 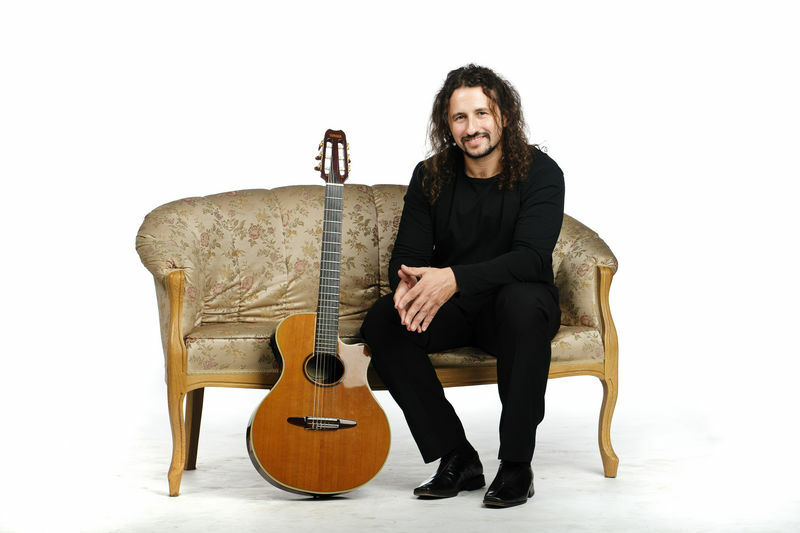 Considered Argentina's finest and most significant tango vocalist this is Alvarado's fourth time in the UK and his 24th international tour - a feat in itself for someone relatively young. 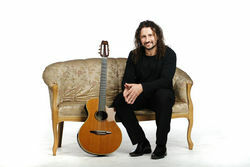 His opening concert is in the Nottinghamshire cathedral town of Southwell at the medieval Great Hall at Southwell Minster, where he played to a full house a year ago. Other dates include his debut in Wales, in Cardiff, and also London, Liverpool, Harrogate, Hull, Essex, Warwickshire, Derbyshire, Lincolnshire, Rutland and Devon. Joining him on the 17-day UK tour will be an outstanding pianist and bandoneonista from Finland, Mikko Helenius, with whom Martin is recording his next album. Helenius is a classically trained pianist from Helsinki and studied bandoneon from some of the instrument’s Argentine maestros in Paris. The bandoneon or button accordion, which is central to the tango sound, is renowned for being an extremely difficult instrument to play. Helenius is thought to be unique in the world for having mastered the ability to play both the piano and bandoneon simultaneously. Alvarado has won wide acclaim across the world for his “extraordinarily beautiful*” tenor voice, and is increasingly recognised as one of the most significant vocalists in the history of tango. In Russia last year, he was described as “a new Carlos Gardel”. As well as being a naturally gifted singer, he is also renowned for his commanding and charismatic stage presence and his outstanding and carefully chosen repertoire from four albums, which features work by Argentina’s most celebrated poets and composers, including rare work by Astor Piazzolla, as well as some of his own, as yet unrecorded, compositions. In the past few years he has had numerous TV performances in Finland, Russia, Slovenia and Argentina, performed at many major venues and festival, often to sold-out audiences, and collaborated and performed with some of the leading musicians in the genre. He is currently working on three new albums including one with Mikko Helenius. For tour dates and ticket information see http://www.musicglue.com/ltangopromotions or see bottom of this page. "One of the great voices in tango today" - 2×4 Radio, Buenos Aires (April 2012). “A brilliant singer” BBC Radio Nottingham. HULL: Saturday, March 23, 7.30pm (doors 7pm) Cottingham Methodist Church, Hallgate, Cottingham, Hull, HU16 4BD. Tickets £12 on the door £10 in advance from www.musicglue.com/ltangopromotions or from Barkers Newsagents,Cottingham. CHIPPING ONGAR: Sunday, March 24, 7.30pm (doors 7pm) Budworth Hall, High St, Chipping Ongar, Essex CM5 9JG. Tango social dance 3pm-6.30pm. Tickets: £14 on the door, £11 in advance at www.musicglue.com/ltangopromotions or £10 in advance from Budworth Hall. CARDIFF: Saturday, March 30, 8pm, St Catherine’s Church Hall, Kings Road, Cardiff, CF11 9DG. Tango social dance 5-8pm. Tickets: £12 on the door, £10 in advance from www.musicglue.com/ltangopromotions or from Spillers Records, Morgan Arcade, Cardiff.